Forum » Game / Game world » steam punk world ? Hello someone told me why doing another Fantasy world when we can do something new , he told me about "steam punk" and i think that can be a good idea . just search about steam punk in your favorites search engine ! Re: steam punk world ? The game play first.Fantasy or steam punk, it's not really the most important. Steampunk seems alright with me. It has an oldie, retro flavor that is always interesting and permit a variety of situations or symbolics that can take roots either on sci-fi or fantasy. It can gives opportunities to put in place stories that can't be explicated by science only, or by the "it's magic !" old trick. Not übber smart but always helpful for those who don't know the steampunk movement : a little list of links. Steampunk in two words : Put a gothic, Victorian aged world in confrontation of the cyberpunk theory (an overtechnological world where the concept of humanity is transcended by tentacular megacorporations capitalist needs and cyberenhanced suburban people) and voilà ! - The unavoidable wikipedia Steampunk page, full of informations. - A video of the actual movement and its behavior (YouTube), maybe not representative of a game world but it can give some ideas. - Some classical photos and pictures (Photobucket). - A non-exhaustive list of games around the steampunk theme. Arcanum is, at my sense and experience, a good base to have a view of a game mixing technology and magic. i'd like a light graphic (fantasy, scifi or steampunk is the same for me) to have a faster game because in every mmo i played the base movement/attack speed is to low. too many unnecessaries resources to load that makes the gameplay slow. I totally agree with steampunk. After all the universe is not the same but the resemblances are really close. But.. it would be necessary to keep something which isn't too futuristic, and where we (maybe :o) can become identified with our character. Good idea (merci Shaar xD). I agree, I find that kind of world very interesting. But graphically, we'll have a lot of work if we follow the pure steam punk style. 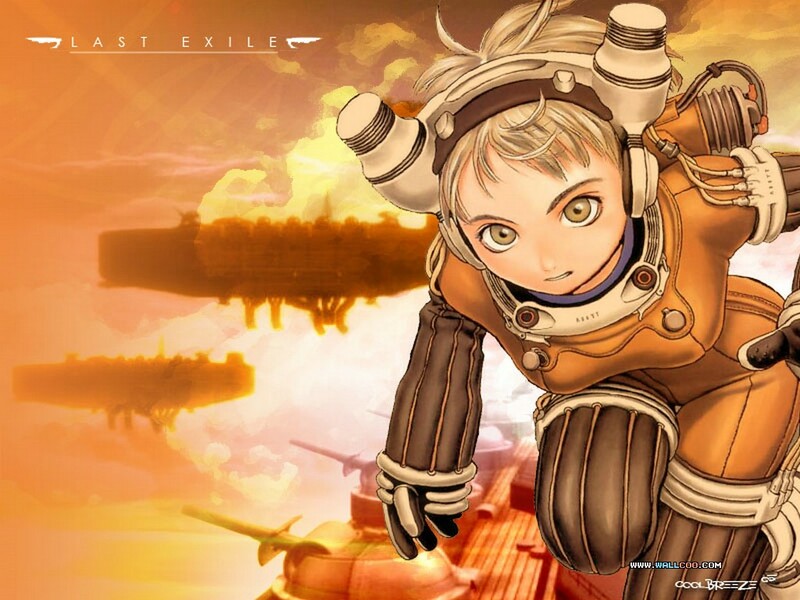 I propose an alternative, I don't know if you have seen the japan animation serie "Last Exile" but I think it can be a good inspiration. but the good news is , if you go look at the Useful links you'll see that i found bunch of tools to easy the graphics design process (human modelers , tree generator , cities generator, and a landscape generator, and free textures for our world) . IMO right now we will have work to do to apply textures to all models (this job will not need design skills , someone just need to write a good tutorial how to do it , and people can apply them) . the skilled graphist should stick in the human/weapons design. I agree with Mihoko. Make a real steampunk world is going to be hard, we can make an alternative. A game with character of a light steampunk style and without taking back necessarily the whole universe… That's could be nice. We maybe have several mesh of character, but this is only the beginning : we must also create their style.